Get started on a great career with our state-specific training courses and stay certified with our renewal training. Meet state caregiver training requirements with our customizable courses and training bundles. Are you ready to get started on a Caregiver career? 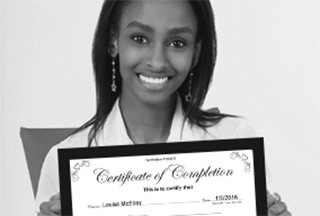 You can become a certified Caregiver in 4 easy steps. Our state specific courses meet all industry standards Offered at a discounted rate of $59, they include 24/7 access to the course, certificate and inclusion in our caregiver registry. Our state specific courses meet all industry standards. The caregiver training information sections and reviews provide excellent information and most importantly, are easy for the caregivers to understand and use. We have training for you! Spanish versions of our state specific Caregiver certification courses available now! Effective January 1, 2016, new Caregivers must have 10 hours of training and 5 hours annually. ARE YOU MEETING YOUR STATE’S REQUIREMENTS? Caregiver training expires annually. Maintain training for your state. What kind of Caregiver will you be? Need a Caregiver job? Visit our Career Center! Caregiver and nursing aide pay rate continues to rise and remains above the minimum wage. Our Career Center is the only one customized for the growing senior care industry. What can you expect as a Caregiver? Ready to get started on a Caregiver career? Sign up for our Caregiver Newsletter and stay up to date! What to go further with your training? 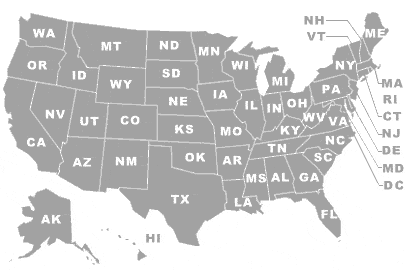 Please click on your state at left to learn about certificationschools and programs and exams in your state.